I like that there is the kitchen so I could make the dinner. Staff helped me with the taxi to the airport. Comfortable hostel. 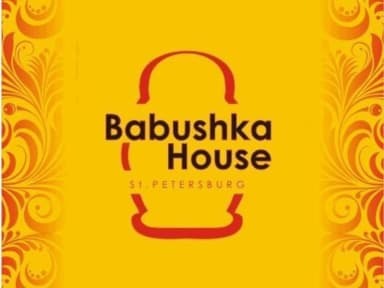 Nice and cosy place with the friendly staff. The place is comfortable and the price is affordable. Location is good for travellers. 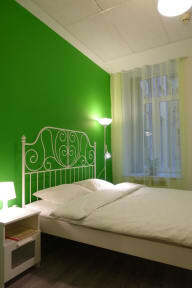 Located in the one of the yards just near the Vladimirskaya metro station this place is very calm. I had the great opportunity to get the hot shower and to sleep in the comfortable bed, which is so important after the long trip to Russia. I stayed almost two weeks total. I had a private double room. It was clean and comfortable. First mattress was bad, but the admin got me a new mattress. Excellent customer service! Turn right and it is a short walk to Nevsky Prospect. Turn left and it is very close to Vladimirskaya & Dostoyevskaya Metro stations. Eat at Ctolovaya No. 1 inside the gray Renaissance Hall. Average cafeteria style meal was about 240 Rubles or $4 USD. Dostoyevskaya Metro is in the same bldg. Highly recommend!!! Clean rooms, nice common room and lovely staff. Thank you!! They exceeded my expectations. Value they provided was awesome. Staff friendly, place clean and quiet. What else do you want? The third floor was not to tough to climb. Thanks, guys! Typical Hostel, doors were a little thin and some sounds from the corridor were always present. Double room was ok. It's a nice place overall, with good location and pleasant staff, though not everyone spoke fluent English. If you want a calm place to rest and relax, it's a good choice, but as a place to meet other travellers and socialise, probably not the best, at least such was my experience. The private room I stayed in was very comfortable. It’s a hostel, nothing really special about it. Quiet, most everyone keeps to themselves. Close to two supermarkets is a plus. 5 minutes walk from Vladimirskiya metro station. There is a bar next door that parties loud until early morning.